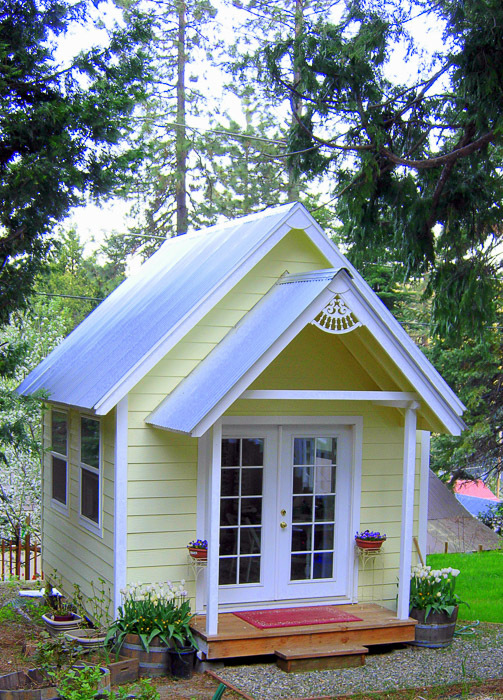 I Want A “She Shed” For My Own . . No! A Rockin’ Roundhouse! But maybe I will call it my “Haute Hut”? Pamela at Flower Patch Farmhouse builds the coolest toys, and has the most beautiful gardens! I have all these plans to mimic some of her things. I gathered free wood for her Potting Bench from a building site in the neighborhood, and though I didn’t get the bench built before the snows, I did get two garden beds finished, and three more started. I still have the wood for the bench set aside. I will need to pick up 2″x2″ pieces to build garden obelisks (about $20.00 worth of wood if you buy new wood, maybe more if you buy redwood and leave it raw – I want to paint mine wild colours so I will need paint, but just cheap wood for the obelisks themselves). But I imagine I will end up with something like this given my budget. Although . . .
Look what else I found on Instructibles! Earthbag Roundhouses, by Owen Geiger. He built this one in Thailand (no, the grass roof definitely wouldn’t work in Colorado!) but other than that, it would be perfect to build a studio for my quilting and dyeing! Bring in a work sink (already have one) connected to a hose (Have that too), install an on-demand water heater ($151.06 at Home Depot. Those have Really gone down in price! ), put up shelving built from recycled wood, a good space heater or two, use the worktables I already have, and there ya go! Recycled materials means no newly dead trees or new chemical wastes from factories manufacturing plastics, etc. Putting up plastic and PVC over my garden beds would mean new plastics . . . I would love to build out covers for the beds so I can keep plants wintered in for next winter . . . hum…. 26 in. 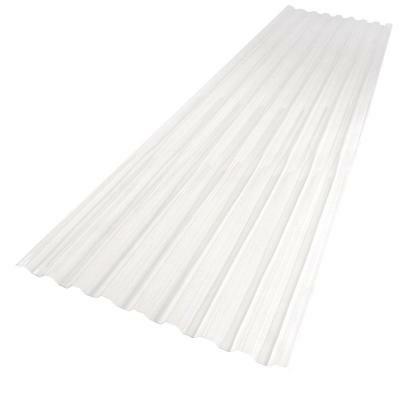 x 8 ft. Polycarbonate Roofing Panels from Home Depot are $21.62 each. If I use those for both the Roundhouse and the garden bed greenhouses, that would be inexpensive. Steel T-Posts are $6.98 each. Six per garden bed (one at each corner, one at the middle of each long side) with one Panel on each long side, one panel cut in two for the ends. Throw in the fitted braces to hold the panels, “The Sunlite 24 in x 96 in. 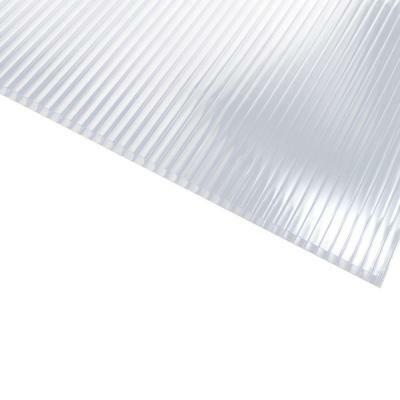 Polycarbonate Twinwall Roof Panel features an air layer that bolsters its insulation strength, making this a powerful roofing option.” ($35.63 each and maybe I should consider those for the walls as well, since they are insulated?? Yeah, maybe! ), recycled wood to build roof braces…. a couple of recycled house fans to move air… Yep. This could work! Now, if I just had a couple big strong Shifter Boyfriends to do the hauling stuff around for me! ROFL!!! I have a studio in the basement – but the thing is, it is in the basement, and even though it is finished and really cozy down there . . . there is no sunlight! 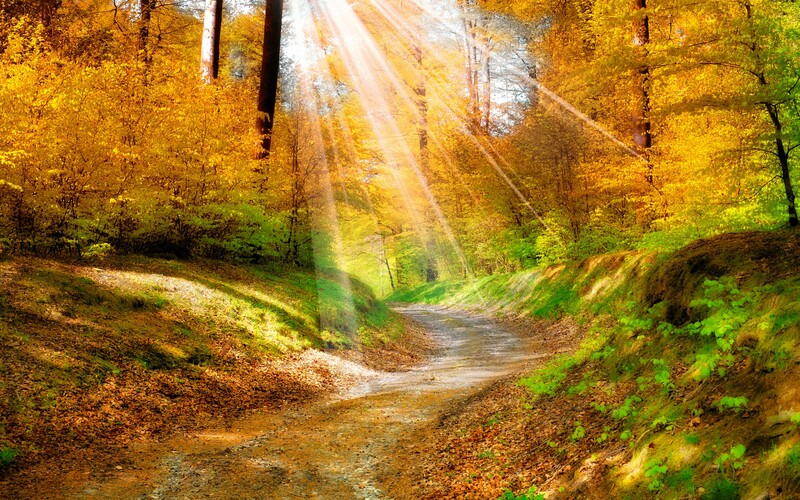 And I really, really miss sunlight! Why am I talking gardens at three in the morning when it is 15 degrees outside? Simply because it IS 15 degrees outside and three in the morning! BRRRRR! And besides, that whole no sunlight thing….. my office is down there as well, so no sunlight there either. I know, right? Really need sunlight!!!! People are living in spaces like these in an effort to downsize. Some are on wheels, just to meet the code of the area. Of course, at 15 degrees it better have some heat. Good day sunshine.